Businesses and organizations that are open and welcoming places for individuals suffering from Alzheimer’s as well as their families and caretakers can have a very positive impact on local communities where isolation may be a problem - more in the April edition. When you purchase a home or investment property, there are many important elements that require your attention. It’s crucial to understand and evaluate the true cost of borrowing the funds from a bank, independent lender or mortgage broker. The phrase “buyer beware” is an ever-present concern because the cost of the loan can vary in many different ways and through different banks/lenders, attorneys/title companies, and third parties related to the transaction - more in the April edition. New Englanders have a certain hardiness about us. We can withstand subfreezing temperatures for nearly half of the year. While winter is beautiful in many ways, the short days and chilly temps do present challenges for some people. Here are a few ways to consider improving your winter experience from a health-psychology perspective and help beat the winter blues—more in the March edition. How many times have you walked into your bank and noticed the FDIC sign, but never really knew what it meant or how it applied to you and your deposits? And, what happens when you have deposits greater than $250,000 dollars? - more in the February edition. In the past couple of years, claims of sexual impropriety, whether recent or from the past had a prominent place in the media. Public reaction has made it clear that definitive conclusions and evidence, like eyewitness testimony or photographs, are expected. Unfortunately, such objective, corroborating evidence is rare in this type of case. In the most difficult “he-said-she-said” workplace harassment scenarios, employers are challenged to reach resolution - more in the February edition. The value of company-sponsored health care benefits is a critical consideration for prospective hires and employees who may be contemplating a move. Nearly three in five (57%) consumers report health benefits and perks as a reason to stay in or accept a job. What’s more, 40% of people rank health and dental insurance as the most important benefit offered by their company. Translation? Employers can and should leverage their health care benefits to attract and retain employees - more in the January edition. Employers have an opportunity to start 2019 off on the right foot by ensuring that they are compensating their employees appropriately and in compliance with the Fair Labor Standards Act (FLSA). The U.S. Department of Labor (DOL) announced a six-month extension of its Payroll Audit Independent Determination (PAID) program on October 9, 2018. This program aims to incentivize employers to review wage practices and provides compliance assistance - more in the January edition. The average American adult walks about three miles every day. Each step we take involves moving the hip joint. Hip pain can be extremely debilitating and prevent us from exercising, enjoying recreational activities, working and sometimes even sleeping. There are numerous causes of hip pain, but often it is brought about by a sudden period of increased activity and will often resolve with rest and time - more in the December edition. Business owners are unique. They deeply value their business, employees, community and family. Transferring those values (along with their business) to the next generation may be their greatest challenge - more in the November edition. As the holiday season rolls around again, many businesses hold holiday parties to build morale, encourage employees to socialize, and give something back to their employees. But a more relaxed social environment presents increased risks for employers - more in the November edition. The beginning of a new school year provides parents with opportunities to re-examine oral health habits that may have been more relaxed during the summer. Building and maintaining beneficial self-care habits are especially important for children, because the habits they practice at a young age are likely to last a lifetime - more in the October edition. The beginning of a new school year provides parents with opportunities to re-examine oral health habits that may have been more relaxed during the summer. Building and maintaining beneficial self-care habits are especially important for children, because the habits they practice at a young age are likely to last a lifetime - more in the September edition. As we age, every part of our body ages with us—including the brain. Over time, the understanding of the way the brain ages has shifted from being negative to more positive. Researchers and scientists have found that the brain is quite adaptable to changes that happen in the body as the aging process begins. While we cannot foresee what the future holds for our aging brains, there are some ways to reduce our risk of developing brain diseases such as Alzheimer’s Disease and other dementias or Parkinson’s Disease - more in the August edition. By Bill Norton, Norton Asset Management, Inc.
Commercial real estate is both a sector for investors looking for appreciation and income, as well as users who need space to run their businesses. Commercial space can be office, manufacturing, assembly, warehouse/distribution, retail, restaurant, hotel, or multi-family (apartments). 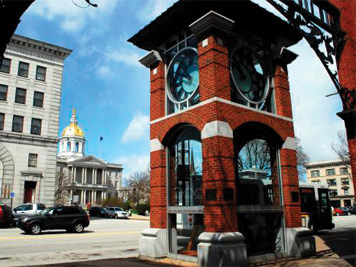 In a market like New Hampshire, experienced commercial real estate practitioners focus on a specific geographic area (say Greater Concord) or on one or more specialties (say office and industrial). Commercial Real Estate (“CRE”) is a serious investment—it is not “liquid.” A wrong choice can turn out to be painful - more in the August edition. As of May 2018, it became mandatory for all financial institutions to identify beneficial owners and controlling persons of legal entity customers opening or making changes to any bank account. The new mandates aid in combatting tax evasion, terrorism financing, sanction violations, fraud or other misappropriations of our nation’s financial institutions - more in the July edition. In America, we are what we do, and when denied access to meaningful work, our sense of self-esteem is battered. There is an often held misconception that those in pain don’t want to work. Most do. However, people with chronic pain may not fit into a 9 to 5 world. Denied access to meaningful work, they must rely on hand-outs from insurance or government, often eroding their sense of self-worth. The economic impact of excluding these workers is staggering - more in the July edition. Increasingly, our pets are at the center of our lives—they are our companions, loyal partners, our “kids.” We can’t imagine our lives without their undivided attention and no-strings-attached devotion. Overall, individuals who own pets report better physical and mental health than those who do not. It is no wonder, then, that so many offices have decided to become pet-friendly, allowing employees to bring their pets in to work with them - more in the June edition. 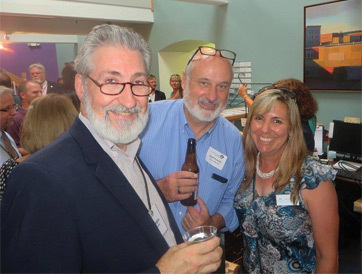 NH employers are well advised to understand their legal obligations to ensure that women are being paid equitably and to take remedial measures, if needed. All NH employers are covered by NH’s Equal Pay law, RSA 275:37. NH employers may not prohibit employees from disclosing the amount of their wages, salary, or paid benefits, or discipline or fire employees for doing so (includes making a complaint or causing an investigation). The federal Equal Pay Act (EPA) prohibits pay inequality and discrimination in pay based on gender. The EPA covers all employers and requires that men and women be given equal pay for equal work - more in the June edition. Makerspace (noun): a place in which people with shared interests, especially related to arts and technology, can gather to work on projects while sharing ideas, inspiration, equipment, supplies, resources and knowledge. Imagine a place where you can create something, take a class, start or grow a business, join a community or simply enjoy the creative marketplace. 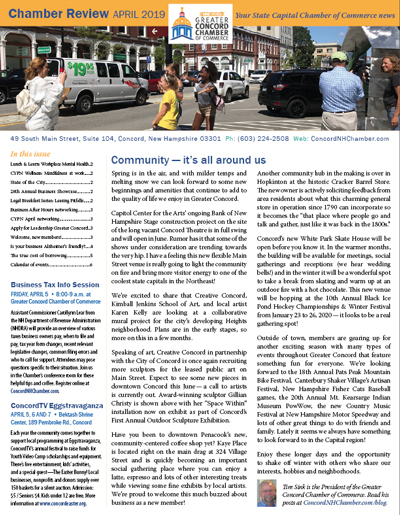 Making Matters NH is a newly formed group working to create such a resource in Concord - more in the May edition. Are businesses ready to turn themselves in to the DOL? The U.S. Department of Labor recently initiated a nationwide pilot program referred to as the Payroll Audit Independent Determination (“PAID”) program. The stated purpose of the program is to facilitate resolution of potential overtime and minimum wage violations under the Fair Labor Standards Act (“FLSA”). The expectation is that FLSA claims will resolve more expeditiously and without litigation, thus improving employer compliance with wage and hour laws and getting back wages to employees more quickly - more in the May edition. Interested in contributing a Business Focus article? Contact Kathy Bacon for more information.